Sorry for the lack of posts, but someone near and very dear to me has been going through Chemotherapy, and I've been taking care of her. My sacred Shu Uemura Hard formula Brow Pencil is almost at its end; therefore, I'm giving it a little rest, and switching to Addiction's Pressed Duo Eyebrow ( ¥2,625). Because Addiction is exclusive to Japan, the Pressed Duo Eyebrow shade range is very exclusive (but, appropriate for the brand's demographic populous); it is offered in two shades: Marron and Cinnamon. On myself, I prefer a more neutral/slightly cooler tone brow, so I chose Cinnamon. The two shades of Cinnamon are a medium taupe-brown and a medium ash-brown. I have a confession to make...I'm a stress plucker! In the past (and often present) I've tweezed my brows into oblivion. The fact that I carry tweezers with me at all times doesn't help, but I'm working on it. Slowly, but surely my brows are regaining their shape. Here's a quick demo of the 01 Cinnamon duo in action. The flash makes the product look warmer than it actual is. The fun thing about eyebrow powders are the various possibilities they offer. 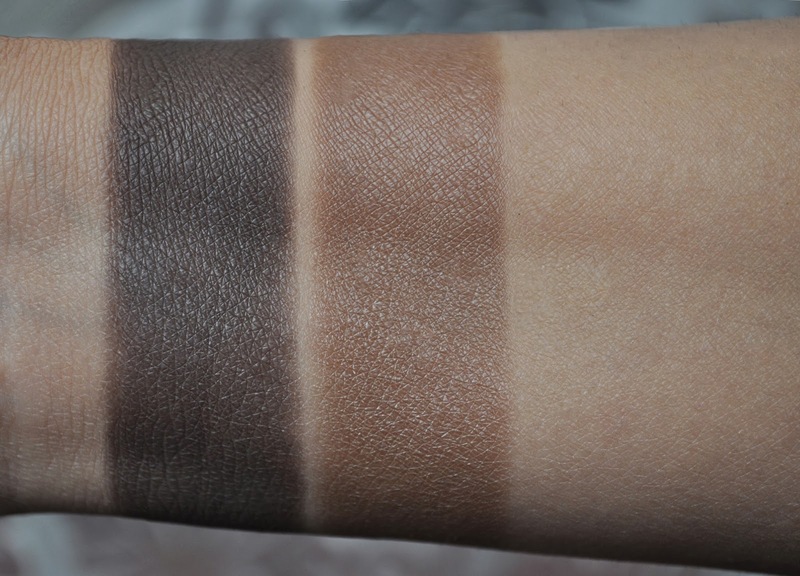 For example, you can use the lighter shade along the inner half of the brow, then use both shades mixed together throughout the middle half. And finally, still using both colors, but, add more of the lighter shade at the end of the brow. Addiction's Pressed Duo Eyebrow (I keep wanting to call it Pressed Eyebrow Duo) can create a beautiful soft-focused, natural-looking brow as well as a more defined, dramatic brow; it's a real workhorse that lasts the entire day, and I love it! What do you use on your brows? Oh wow, both of those colors are PERFECT. What a great duo! 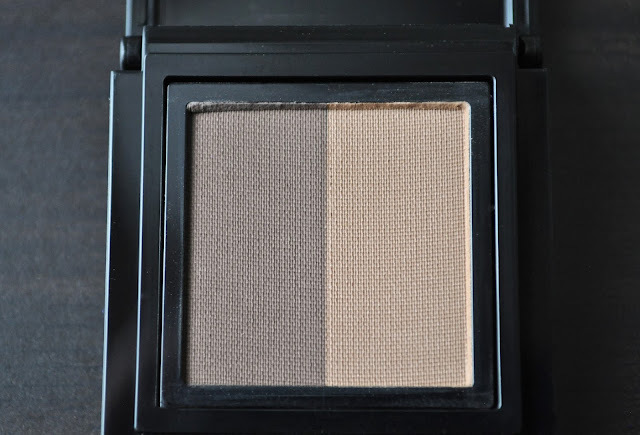 This duo creates a lovely neutral brow shade. Suqqu brow pen & brow palette, K-Palette brow marker and Shu hard 9 pencil. And spit. I've been on a really brow kick recently. I can't get enough of brow products. I also really enjoy the fact that Addiction name their base products after nommy things! Building a base from Wafers foundation and Cinnamon brows? How can that not be delicious? I must say, my lashes and lids were feeling a bit chilly naked and all :P Addiction always makes me hungry and broke! Love the colors, so natural and perfect for dark hair! I can't wait till my addiction products come! Sorry to hear about your friend; best wishes to her. I really like the look of this palette. It looks great on you. If you need help getting this or any other JP goodies, let me know. Wow! this is so pretty. I am still looking for but upon seeing this, I think my search is over. I will def gonna give this a try.